Talk to the children about how Christmas is a time of great joy. Ask them what makes them joyful at Christmas. There are other things that cause people to be joyful like the birth of a baby. At Christmas, we celebrate the birth of a baby. But this baby was different than any other child. Jesus is the son of God, and He came to Earth to be our saviour. Because of this, He has brought joy to the world. Activity: Continue decorating the Christmas tree. Use these object lessons while decorating the tree. Ornaments: Jesus wants us to have joy in our lives. Round bulbs represent Jesus coming to Earth. Jesus coming to Earth gives us joy by reuniting us with God. That’s why it is called Good News. Other ornaments represent that God wants to give us good things. Siver Ornaments or Garland: Silver has two meanings. It symbolizes the star of Bethlehem that the wise men followed. But it also symbolizes shepherds who rang their silver bells in Bible times to help the sheep find their way. When Jesus was born, angels appeared to shepherds so they could worship Him. Jesus as our Great Shepherd. Jesus came to Earth to help us find our way back to God. Gold Ornaments or Garland: Gold symbolizes the three wise men. Some called them kings. They brought gifts Jesus when he was born: gold, frankincense, and myrrh to show Jesus was born a king. He came to this Earth as a baby, but He is the King of Kings and Lord of Lords. Optional Activity: A great idea to help children focus on other people at Christmas is to have them make their own Christmas cards. Receiving Christmas Cards can give people joy. Here’s some ideas of who they could send them to. Missionaries: Missionaries have a hard time at Christmas. They’re away from their families, many times in places that don’t celebrate Christmas. Shut Ins and Nursing Home Residents: Some of our senior members feel alone at Christmas especially if they have no family nearby. Widows and Widowers: Those who have lost their spouses have a hard time during the holidays. Parents: Parents are usually the ones who give to their children at Christmas. Sometimes it helps to give a little something back. Pastor: Pastors love to be appreciated too. Getting Christmas Cards from all the children would make their day. Tell these stories of the visitors after Jesus was born. First talk about the angels who appeared to the shepherds and told them that a baby was born that would bring joy to the world. The shepherds went to see baby Jesus and were filled with joy. Some time later wise men arrived from the East. They had followed a star to Bethlehem and wanted to worship the new born king of kings. They were filled when great joy when the found Jesus and gave him gifts. This would also be a good story for the children to act out. Assign some children as angels, some as shepherds, and some as wise men. Don’t forget Mary and Joseph. Luke 2:10 (NrIV) But the angel said to them, “Do not be afraid. I bring you good news. It will bring great joy for all the people. Philippians 4:4 (ICB): Be full of joy in the Lord always. I will say again, be full of joy. End the lesson with encouragement for the children to be filled with joy because Jesus Christ is Lord. If they struggle with joy, pray for God to fill them. Sing Joy to the World. 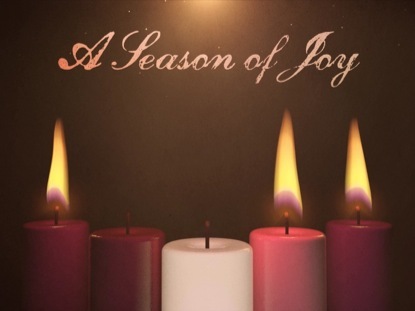 This entry was posted in Children's Church Sermons, Children's Church, Christmas, Holidays. Bookmark the permalink.